Join more than 1,000 Special Olympics Athletes and 1,050 volunteers building communities of respect and inclusion. Thank you to our presenting sponsor, Brookfield! If you are a new volunteer, please click here to complete the registration form to volunteer for 2019 Special Olympics D.C. Summer Games. If you are a returning volunteer, please click here and use your email address on file as login name. 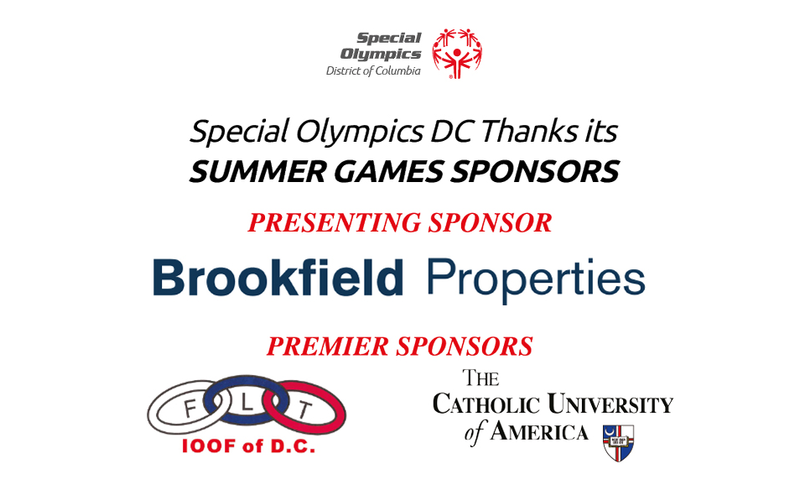 To participate, donate or spectate, please contact MariaNelly Johnson at 202.408.2640 or mjohnson@specialolympicsdc.org. Come out to Catholic University to see our athletes in action!